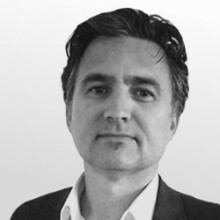 Brendan has extensive professional experience in the fields of Project Management, Construction Management, Design Management, Contract Administration and Dispute Resolution for large scale end-user commercial, industrial and infrastructure projects. He has over 20 years experience in commercial and industrial construction projects working on both client and contractor teams. He has experience in all phases of project delivery from inception to completion including master planning, feasibility studies, design development, authority approvals, construction, contract development, contract administration and final completion. As Project Manager and Contract Administrator he has prepared and administered consultancy agreements, head contracts and subcontracts. Brendan has a strong background in managing commercial and industrial projects with multidisciplinary design requirements. Brendan has a strong background in client relationship management in complex project environments. He has the ability to communicate at all levels across both client and project teams with the ability to manage multiple Project Stakeholders.